These Swedish delights are somewhat infamous (they even have their own facebook page). What are they? 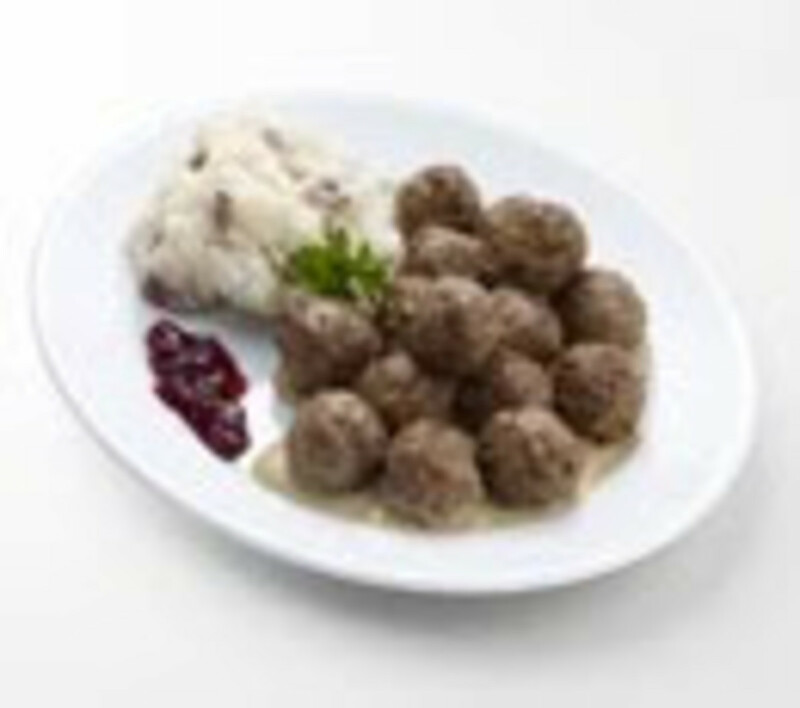 Frozen meatballs sold at the Swedish home emporium called Ikea. We made our first trip to the new Brooklyn Ikea store last weekend. As we scanned the aisles for kitchen gear, we sampled a meatball from a nice Ikea lady and were hooked. There&apos;s plenty to like about Ikeas besides meatballs (such as EXTREMELY affordable kids furniture that looks oh so chic and did I mention there is a FREE kids area that offers DROP OFF childcare while you shop!) But I digress. Back to the meatballs. After shopping we were waiting in line with the girls and we see the meatball display. I think, "What the heck." They had a special running $11.99 for a huge sack of frozen meatballs, two sauce packets and some lingonberry sauce. To cook the meatballs: Preheat the oven to 450. Pop the meatballs in for 15 minutes. Remove and let cool before serving to the kids. 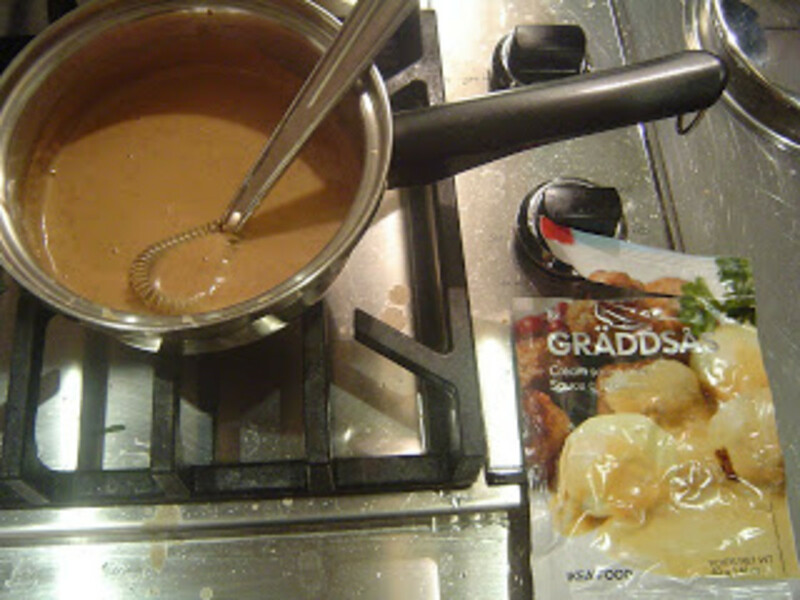 For the sauce, bring 1 cup of cold water and 1/2 cup of milk to a boil. Turn down to a simmer and add the sauce. Mix well. My sauce came out a bit goopy--next time I&apos;m going to add more milk. The girls loved the meatballs, and so did the adults. 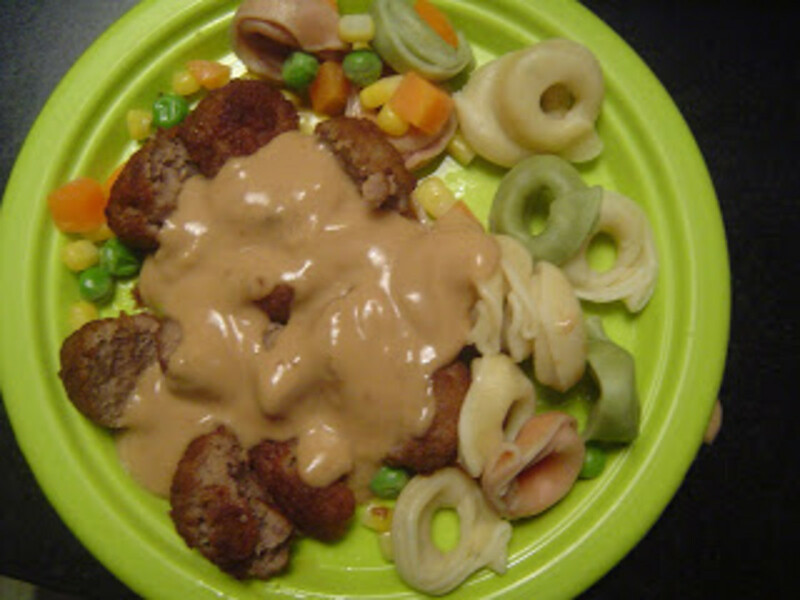 A quick and easy dinner courtesy of Ikea! Is this really cooking? I&apos;m not sure, but it is a solution for busy moms. 6 meatballs = 210 calories, 13 grams of fat, 9 grams of carbohydrates and provides 14 grams of protein. Add one tablespoon of the cream sauce = 30 calories, 1.5 grams of fat and 3 grams of carbohydrates.